Superdry men’s Miami stripe pocket t-shirt. 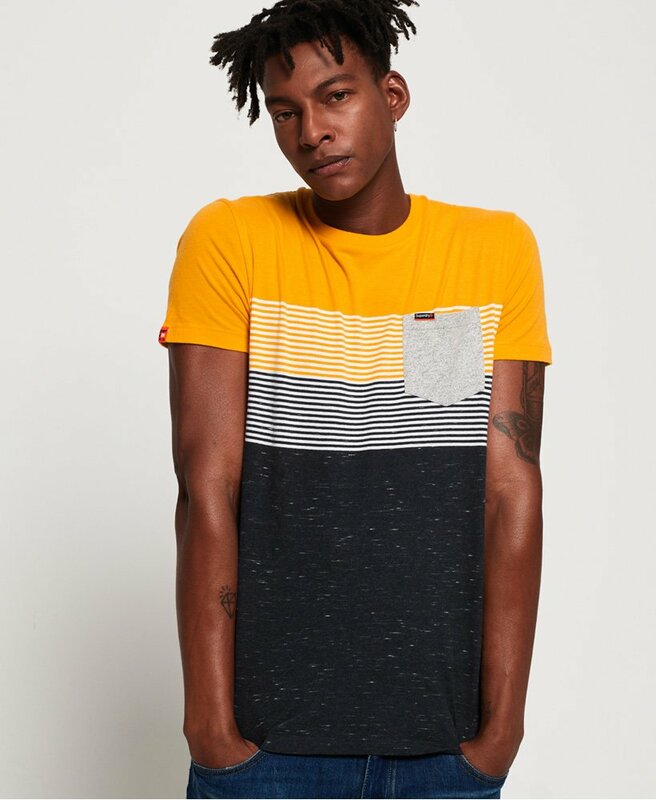 Casual dressing has never been easier wearing this stipe pocket tee, engineered for both comfort and everyday wear, this is a must-have in your wardrobe this season. It features a flattering crew neck design, short sleeves and a small pocket on the chest with a Superdry tab. For the finishing touch, this tee has been completed with a Superdry tab on the sleeve. Team this tee with your favourite pair of jeans and trainers to be on top of the trends this season.